Girl you know its true, you can’t fake what you do. In 1988 long before the days of Xfactor, a music group was created that would shake the music world. 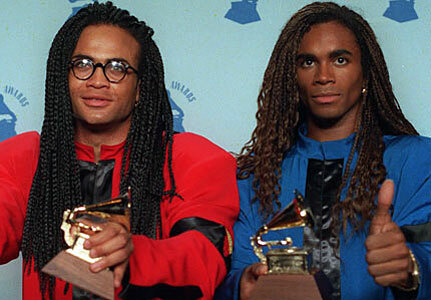 After achieving a string of chart hits and climbing to become one of the most popular acts at the time, Milli Vanilli were stripped of their Grammy Awards as the world was stunned to learn that the voices on the records were not theirs. People were outraged. They felt cheated. The groups creator felt that the real musicians were not marketable enough and therefore hire two models to be the front face of this group. The Milli Vanilli success was destroyed in an instant. How often have you bought from brands that promise the world but the actual experience leaves little to write home about? How did that make you feel? How many people did you tell? Lance Armstrong built an entire brand on the story of beating cancer to go on and be a champion in his sport but later it was revealed he was part of the largest doping scandal sport has ever seen. Earlier this year Naked Juice Co. admitted that it’s products were as “all natural” as they claimed in their brand promise and advertising resulting in $9m settlement. I’m not saying that you are likely to involved in scandals like the ones above by any stretch of the imagination and I nor do believe that you are deliberately misleading people. What I am asking is does your customer experience exactly match your brand promise? Do you review complaints and comments or is that just something another department deals with? What are your customers saying when you aren’t there? You may get away with it for a while but sooner or later you’ll get found out.